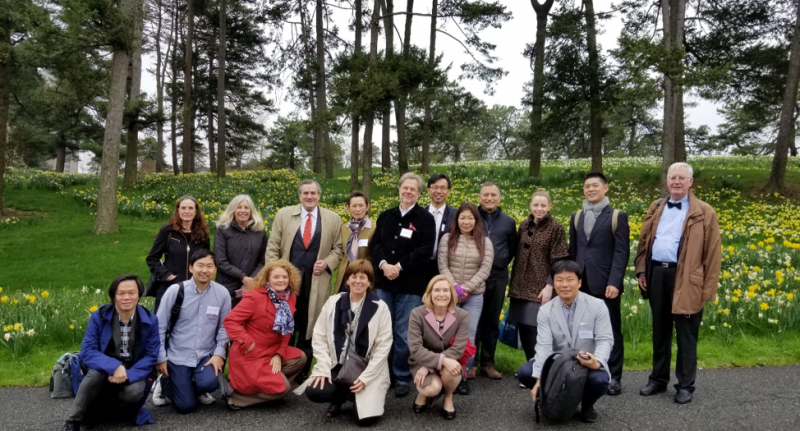 Those present for the day’s festivities were students, researchers, historians, landscape design professionals, museums curators and scholars of Asian art and culture. Also present, were several officials of the Japan Society of New York, and diplomatic representatives from the Consulate General of Japan and The Netherlands. All gathered in the LuEsther T. Mertz Library for a warm welcome from the Humanities Institute’s Coordinator, Vanessa Bezemer Sellers. 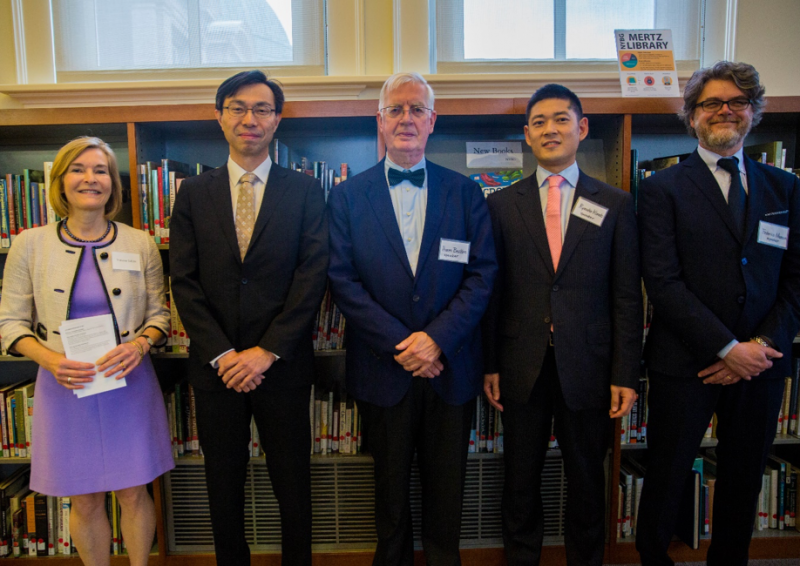 The Deputy Consul General of the Japan Information Center, Consulate General of Japan, Mr. Sato officially opened Japan Study Day with a special dedication to his colleague, Joost Taverne, Cultural Attaché, Head of Press and Cultural Affairs, Consulate General of The Netherlands. The dedication was made in acknowledgement of the two countries shared history and cultural-scientific exchange via Deshima, the Dutch trading post off the coast of Nagasaki, during the long period of Japan’s isolation (1641-1859). The first speaker, Prof. Federico Marcon, recounted the surprising popular appeal of plants and animals in early modern Japan illustrated by prints of public and private collections throughout the archipelago, from teahouses filled with curiosa to societies and clubs where one specialized in the study of nature (honzogaku). “However, until the mid-19th century, only a spare few botanical scholars were permitted access to Japan to study its plant life or animals,” added Prof. Harm Beukers, the second speaker. “One of those lucky ones, was Philipp Franz von Siebold, who cultivated his own botanical garden, arranged an entire reference library of Japanese books, and after publishing a new Flora Japonica, established the Netherlands Society for Horticulture in 1842, an institute that would set the stage for Holland as premier horticultural center.” The third and final presentation, entitled Sakura to Akebono-sugi: Trees in Japanese Urban Landscape Design, incorporated several remarkable historical movie clips to underscore the last speaker, Ryosuke Kondo’s well-chosen arguments. “Sakura, or cherry blossom tree, has played a vital role in Japanese culture since the 8th-century,” he said, “with its blossoms symbolizing everything from private love to imperial might.” “It is important, however, to stress the importance of another, under-recognized strain of Japanese tree – the Akebono-sugi, or dawn redwood,” Kondo urged. 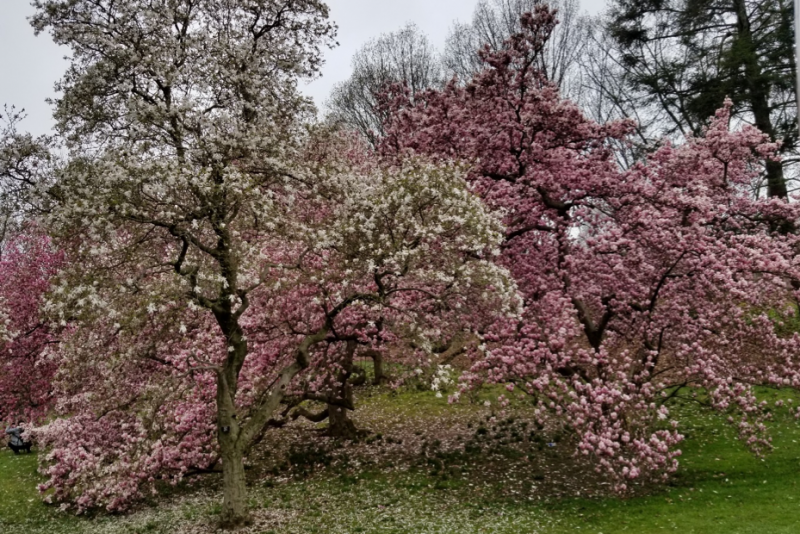 Assumed extinct, but discovered alive and well in China in the 1940’s and further identified by Japanese botanist Shigeru Miki, this tree now shapes the urban landscapes and gardens across Japan. A sapling was presented to the Emperor Showa by American paleontologist Ralph W. Chaney in 1949, and seeds from the tree subsequently sent to the New York Botanical Garden, where they now thrive in the Benenson Ornamental Conifer collection, near the Nolen Greenhouse.